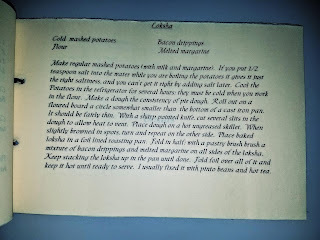 I am collecting and cooking family recipes from other people's families. I am ever grateful for the recipes below, and the generous friends and strangers who gave them to me. A recipe is a gift and a challenge. Which is to say that I am growing increasingly aware of potato varieties, increasingly adept at kitchen gadget use, and increasingly awestruck by people who are actually good at food photography. Below are a few of my recent attempts. 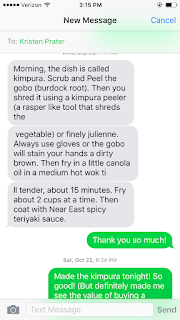 I broke the rules of collecting non-family family recipes in order to ask Kristen for her recipe for Kimpura. 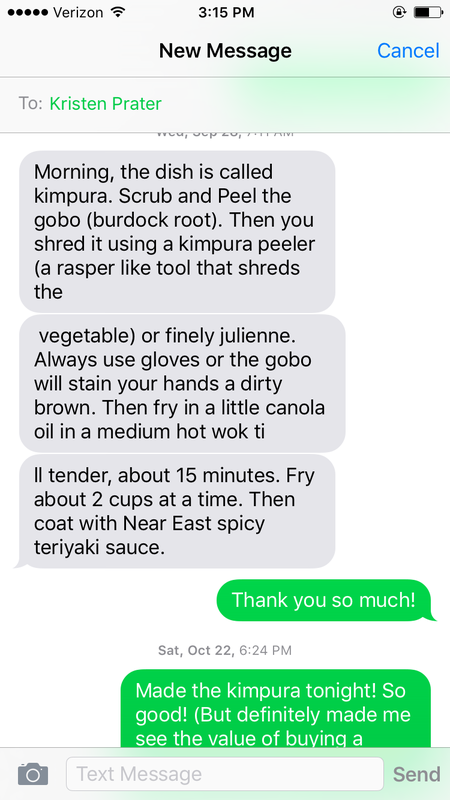 Kristen is my aunt, and she makes this dish every year for Japanese New Years. Failures/Adaptations: I didn't wear gloves because I was cooking at a friend's house and she didn't have gloves. My hands were fine. A bit brown, yes, but the stain faded throughout the night. I also didn't have a kimpura peeler, and would certainly recommend getting one before making this. I spent nearly thirty minutes finely chopping the kimpura. 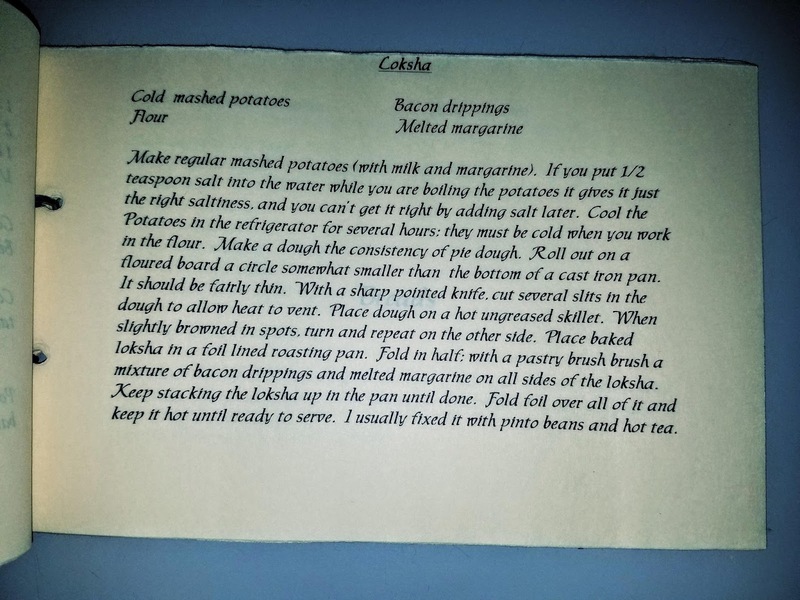 While the last two generations of my family are periodically struck with an unrelenting craving for Loksha, the story is that when my great-grandmother made it, it was not to be talked about outside the house. To my grandmothers, Loksha was a sign of how poor the family was. Indeed, the alternative name for Loksha in my family to this day was given to it by my great grandmother herself, who reportedly scolded her children for wanting to share their Loksha with neighbor kids, saying: "It's for no one. It's Bohemian poverty bread." 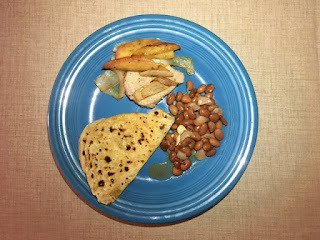 Ken tells me to serve Loksha with brown beans and black tea. He says the recipe is most delicious "when the snow is piled up to the window sills." Failures/Adaptations: I serve the bread with black beans and tea, and also with pork chops and onions. I definitely buy the wrong kind of potatoes - I choose these lovely, translucent rose potatoes - which create a sort of gummy, waxy texture that doesn't seem right. It's still delicious. Claire invited me over to have Jook one Saturday morning. 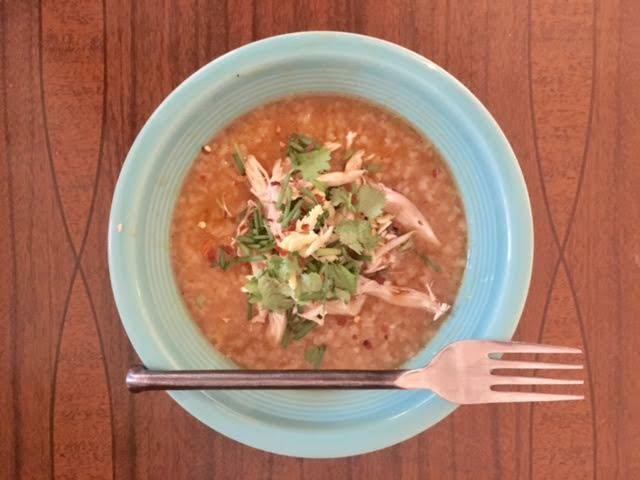 It's a savory rice porridge, thicker than chicken soup, but with a similar taste. She decorates the dining table with small bowls of condiments: shredded chicken, minced ginger, soy sauce, sesame oil, green onions. 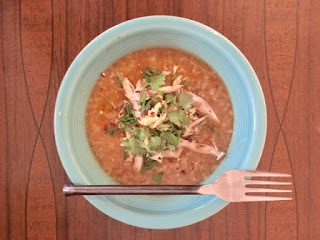 My mom, who was born in Hong Kong, made variations of jook when I was growing up. Jook is also called congee. If I was sick with a fever, she made a very thick gruel, not a typical jook, that was bland but had some meat cooked for a long time to give me protein. Regular jook was a lot thinner. I've come to find that jook is something that varies regionally and depends what you have available. Mom used to go to the local "Hofbrau" to buy their turkey carcasses that they threw away. She made a rich broth and then jook from the broth. I've developed the jook you are familiar with after our Thanksgiving dinners with the Carrolls. In Chinese restaurants, jook is very bland and white and the condiments are added for flavor. I like to cook jook in a rich broth and add all various condiments.